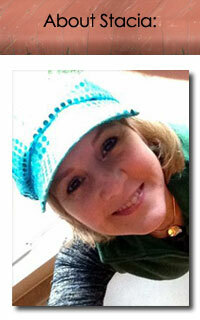 IMT Challenge: "This week at Inspire Me Thursday, our theme is Control. Take this topic in whatever direction you wish, perhaps thinking about your creative process and what you control and what you don’t control..."
SF Challenge:"Since Halloween is fast approaching, and it's fall, let's focus on the color orange." Since my suggestion was used for Studio Friday's challenge this week, I thought I'd better KISS (Keep It Small, Stacia)...literally! 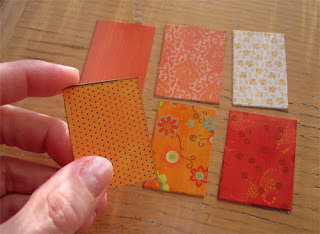 For my "orange" entry I found these small orange patterned papers. Each piece above is about 1 x 2". Small papers for a small image! I decided that IMTs theme of "control" would relate to my tight time schedule with future creative projects. To participate in challenges will mean keeping projects small and easy. Love the small orange papers! AND thanks for the great Studio Friday idea. Working small or "very big" is definately a challenge and learning curve. I love the small and miniture, requires us to focus on "what are the possibilities" - a good thing. Thanks again for the nifty SF idea, esp right before Halloween :) Love your papers!